Marian L. Kingrey, 84, formerly of Hermon, died on December 10, 2016, at Maplewood Health Care & Rehabilitation Center. There will be a graveside service, Tuesday, December 13th, 2:30 PM at the Hermon Cemetery, her son Jasper Kingrey will be the officiant. She is survived by her sons, Jasper Kingrey of Hermon, Glenn Kingrey of Hermon, John and his wife Lori Kingrey of Hermon, grandchildren, Crystal and her husband Sean Sterling, John Kingrey and his companion Vicky Brown, Thomas Kingrey, Jacob Kingrey and his companion Amber Weller, great grandchildren, Alex, Micah, Norah, Jace and Ezra, several nieces and nephews. 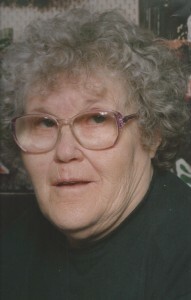 Her siblings, Jake Gottschald, Harless Gottschald, Curtis Gottschald and Edna Rees predeceased her. Marian was born on August 2, 1932 in Louise, Texas, the daughter of the late Adolph and Laura Tolleson Gottschald. She was previously employed by ARC in Hermon. She loved telling others stories about her family, reading, writing letters, animals, and working at the hobby farm. In lieu of flowers contributions can be made to One Mind Institute, P.O. Box 680, Rutherford, CA 94573.